This is the second fishing post on Mountsberg Reservoir. It was a great day on the water! 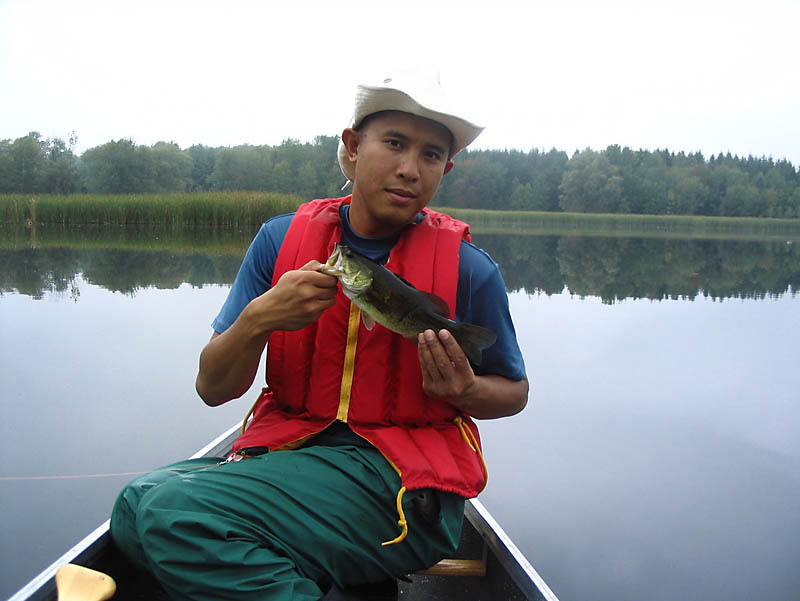 Like usual, our target fish was largemouth bass. We were able to land quite a few bass throughout the day however we caught way more of another type of fish: Northern pike!!! At one point of the day our fish:cast ratio must have been 1:10. This proved the point once again that there are way more pike in Mountsberg than bass, which is truly unfortunate. It seems that every time we go, there are less bass and more pike. For every bass taken from the reservoir, there is room for one more pike, which no bass fisherman likes to see! 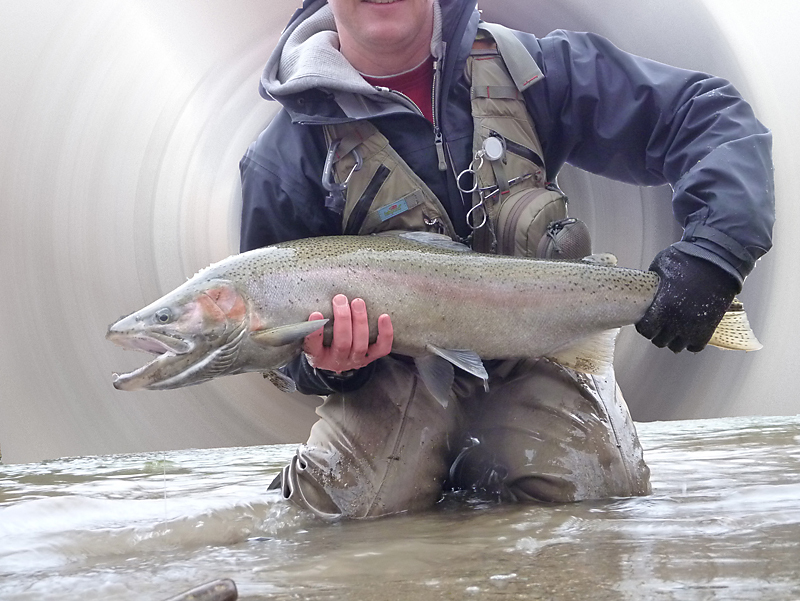 Yet another reason to practice catch and release fishing! Results: See below. 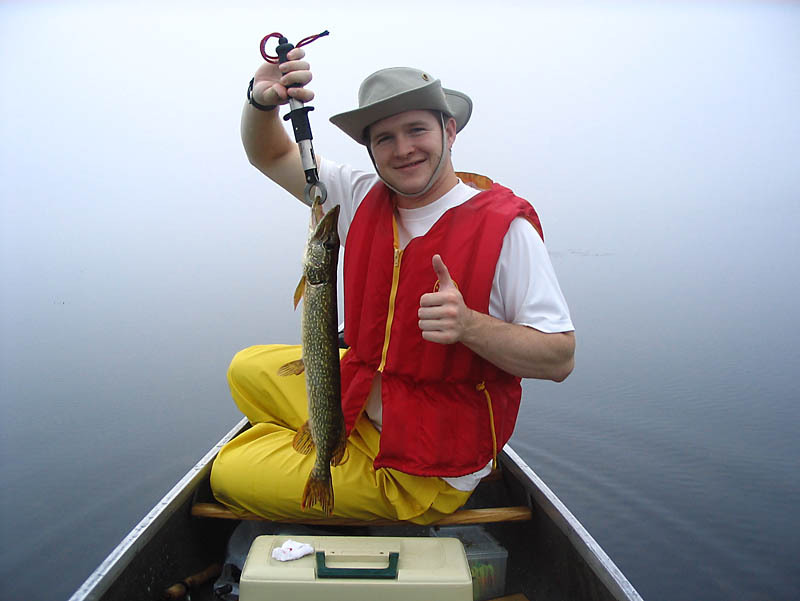 We’ll spare you from showing all our pike pictures and just show the better fish. 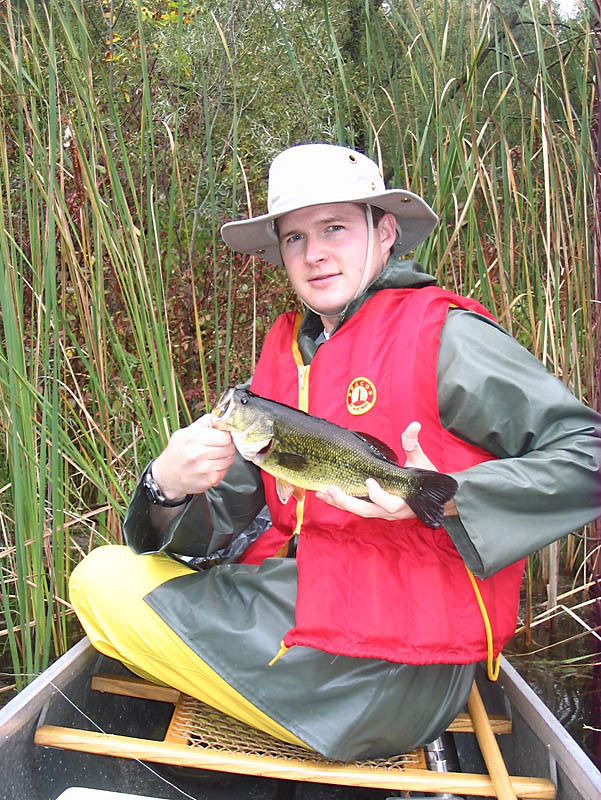 First bass of the day – top-water action! Another small largemouth, but hey it’s a bass! A bloody thumbs up from Steve. This pike decided to clamp down on Steve’s thumb while taking out the hook. Two gashes were left – one from the pike’s teeth and the other from the treble hook. From this point onward (for the day), the lip-grip was a necessary tool. 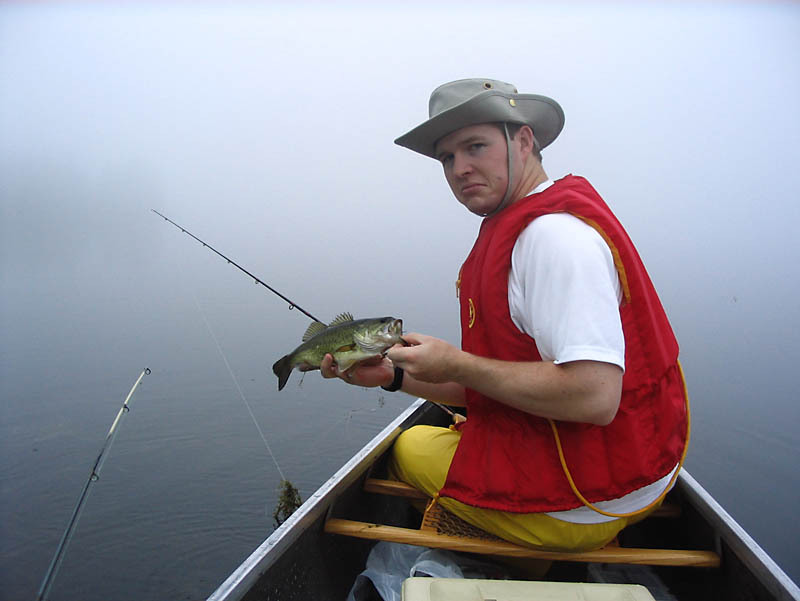 Steve and a tiny largemouth…but again, we were happy it was a bass! Walter nabs the largest bass of the day. It was a nice fish! Ranger Steve lands the last bass of the day, probably the second largest of them all. 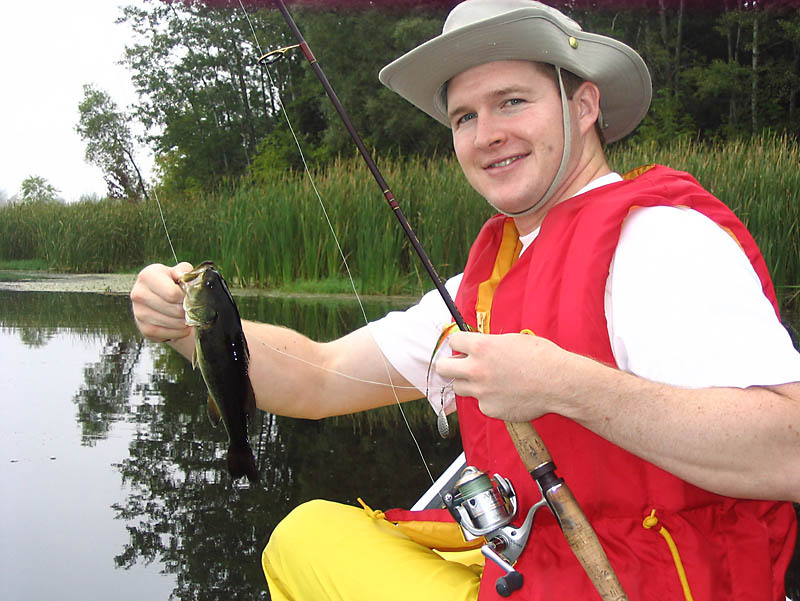 In conclusion, fishing at Mountsberg was very productive! It would have been nice to catch more bass than pike however catching them was still really fun (minus the small thumb wound). Hopefully when we go to Mountsberg next time, our bass numbers will go up! FAC Yeah! Have u been to mountsberg recently? is the fishing good there? what baits do u recommand? Thank you for your questions. We did go to Mountsberg in 2009 and experienced similar results as you see here in the September, 2008 album – but we didn’t get any pics. 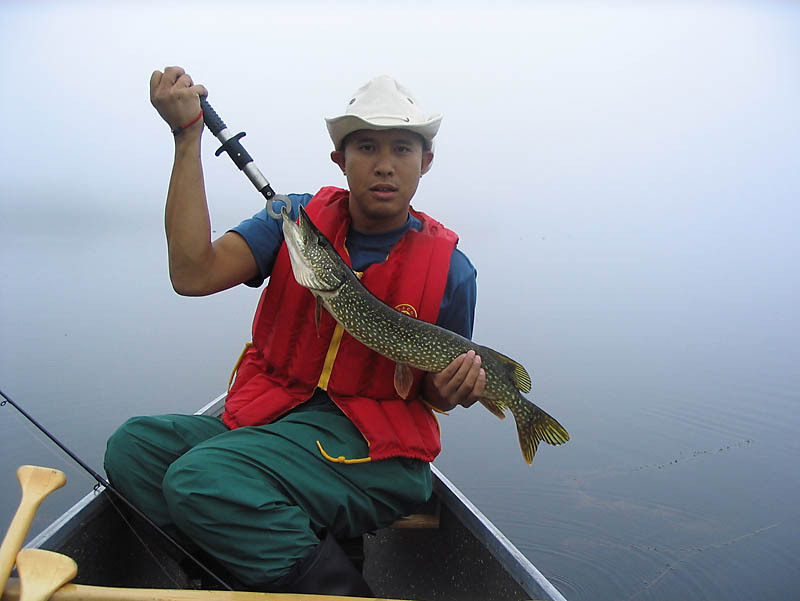 The area is loaded with northern pike. 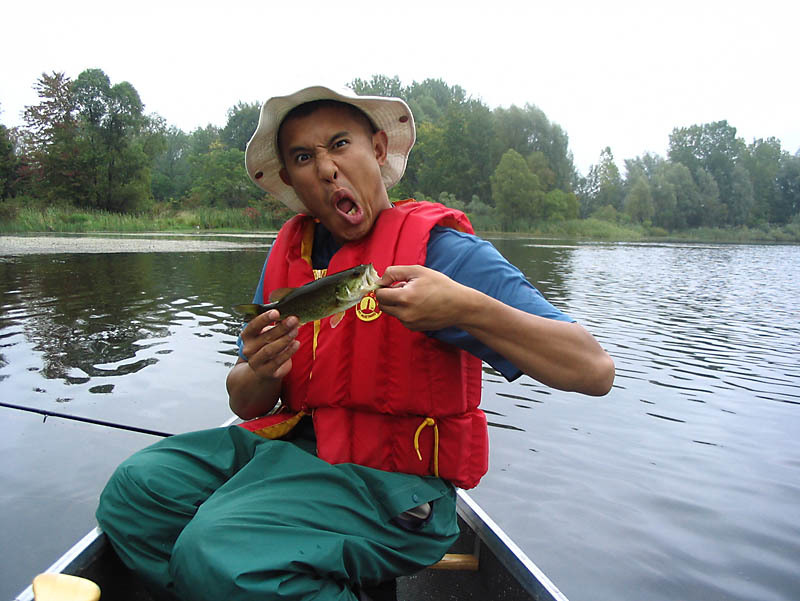 There are a few largemouth bass here and there but you will definitely find an abundant amount of pike. 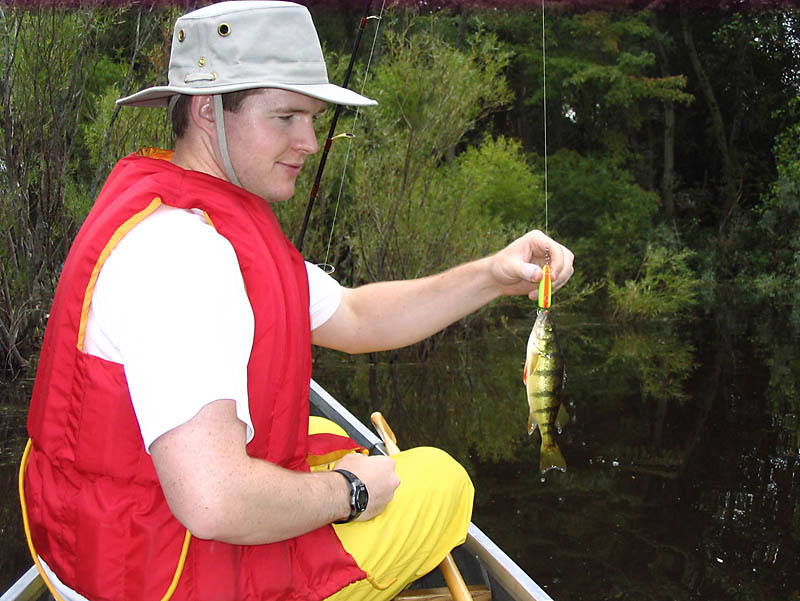 Some of the other fish we have caught include yellow perch and black crappy. 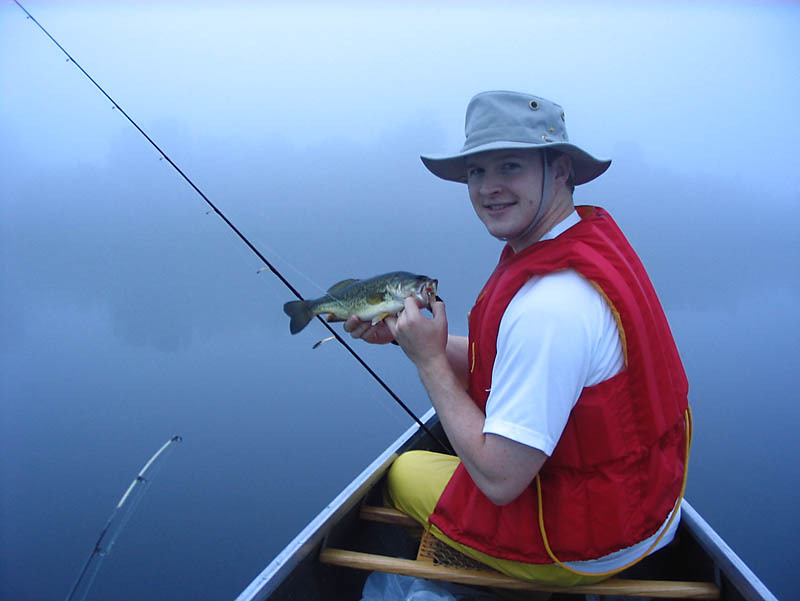 We find the best times for bass activity are early morning or late evening. 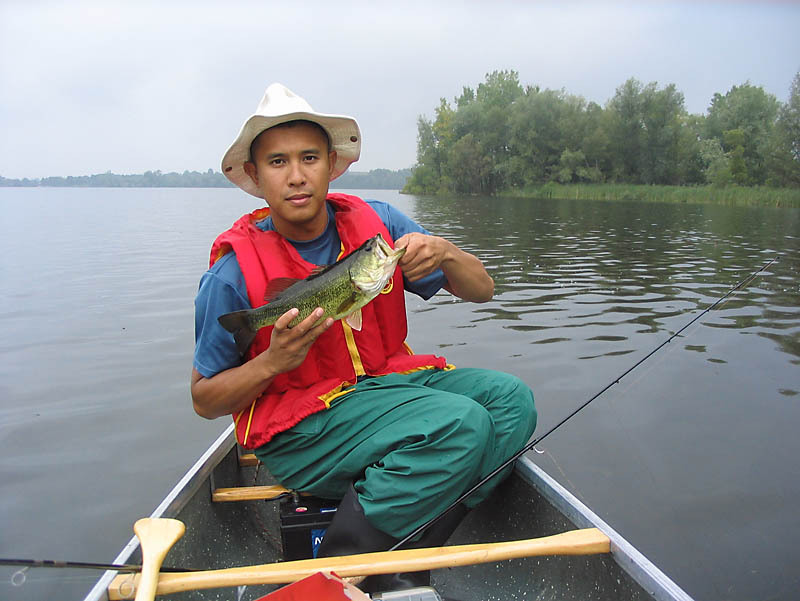 There isn’t much bass activity mid-day, which is not uncommon. Northern pike seem to hit all day long. It is illegal to use live baits (worms, minnows, etc.) in Mountsberg so artificial baits are a must. You will have good luck with any type of spinnerbaits or surface baits. I hope these answers prove helpful to you. Don’t forget to practice catch and release so the bass numbers keep going up! Fac Yeah!